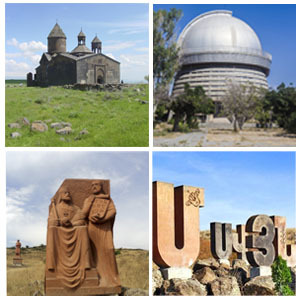 Armenian Alphabet Monument is a 50.7 kilometers trafficked point-to-point trail located near Ashtarak, Kotayk. The trail is rated as moderate and primarily used for trips and mountain biking. 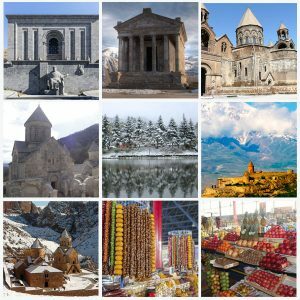 In 2005, the Armenian alphabet celebrated its 1600th birthday. 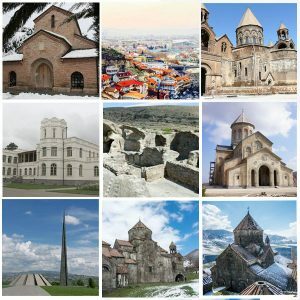 In commemoration, it was given a gift of 39 giant, carved Armenian letters, strategically placed near the final resting place of the man who created the alphabet, Saint Mesrop Mashtots. When Mashtots began working on an Armenian alphabet, it was under great pressure so that it could be used to create a bible for the newly Christian kingdom. Elegantly planned, Mashtots laid out the structure of the alphabet around the religion. He made the first letter A, which was the first letter in the word Astvats, or God, and the last letter K’, which began the word K’ristos, Christ. He then put the finishing touches on the last 34 letters and his system has been used ever since, aside from the addition of 3 more letters. 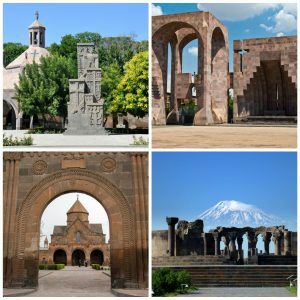 To honor his work, American architect of Armenian origin Jim Torosyan created the stone carvings of every letter near Mashtots’ final resting place in 2005. 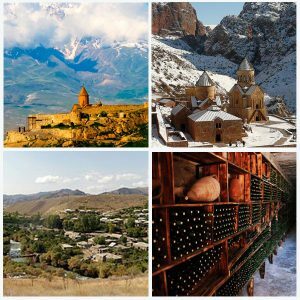 Set against the backdrop of Armenia’s highest peak – Mt. 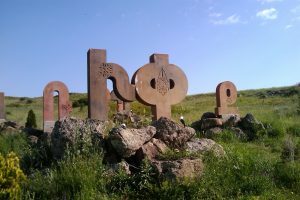 Aragats, the letters and a statue of Mashtots pay tribute to the complex and unique language, a national point of pride of Armenia.